the white, pink, red, blue to purple hues. 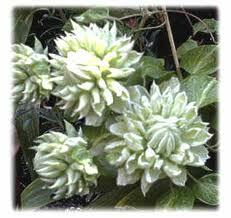 They are a wonderful addition to any garden. 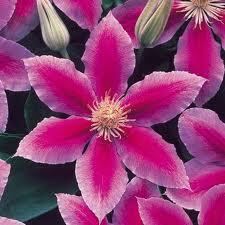 Clematis requires a moist but well drained location. 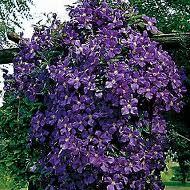 Up against a sunny or semi sunny wall or fence is ideal. 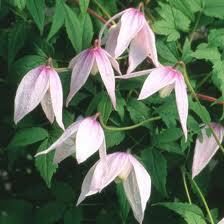 Be sure not to plant them under the overhang as Clematis enjoy having moist feet. A good organic soil with lots of manure is perfect. Once planted their roots need to be covered with mulch. This will keep the roots cool and moist. This group tend to flower on last year’s wood. 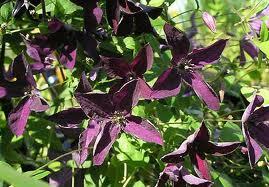 These clematis do not require pruning only shaping or containment when they grow too big. flowering. This group should never be severely cut back. everything spring, before the buds swell.